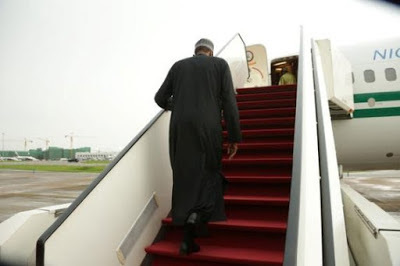 The Presidency has stated categorically that President Muhammadu Buhari acts fully in the capacity of his office whether he is in Nigeria or abroad on official assignments. In reaction to a report by an online news medium that Nigeria?s vice president, Prof Yemi Osinbajo, had to cancel his trip to India for the India-Africa conference because he did not want to relinquish power to Nigeria?s number three citizen, Senator Bukola Saraki, the Presidency noted that the President is still acting in his full capacity despite embarking on a state visit to Malabo, Equatorial Guinea. In a statement issued by Laolu Akande, spokesperson for Prof Osinbajo, he said: ?Nigerians know wherever Mr. President is, at home or abroad he acts fully in his office except if on break, indisposed or incapacitated. So the question of his traveling creating a vacuum does not even exist at all. Then in reaction to the claims that Osinbajo would not be attending the India-Africa summit he said: ?It is simply untrue that an advance party from the Vice President?s office departed for India. No such thing happened because there was no such final decision to travel. The statement then cleared the air on Nigeria?s participation at the summit. ?There are some insinuations online about Nigeria?s participation in the India-Africa conference holding from March 14-16 in New Delhi.? ?For the avoidance of any doubt, Nigeria?s delegation to the the meeting is led by Industry and Trade Minister, Dr. Okey Enelamah,? the statement read.